This is a one of a kind penthouse that features a wrap around terrace in amenity packed building, in prime location! Take a private elevator to your full floor sun drenched apartment. As you walk into this 2000 SF apartment there is a large foyer that leads to a living room with high ceilings, multiple windows with three exposures, a working fireplace, and a dining room that’s perfect for entertaining. Adjacent to this is a chef’s eat-in kitchen that features some of the best stainless steel appliances along with a cubby that converts into a home office. Past the kitchen are two bedrooms. One of the bedrooms is set up as a den by the current tenant. The other bedroom is a master suite that has enough room for a California king, a dressing area and a couple of couches. 170 East 87th Street, The Gotham features a concierge service, a health club, an indoor swimming pool, a residential lounge, a children’s playroom, and community terrace gardens. This prime location is between Lexington and Third Avenue and is within close proximity to some of the top schools on the Upper East Side, Michelin stared restaurants, Central Park, Doyle Auction house, movie theaters and the 4,5,6 subway stop. 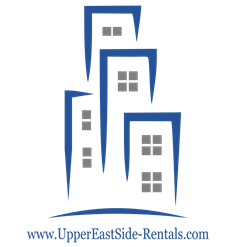 Available fully furnished for a short or long term lease. Contact Jariel at 646.530.8353 for a private showing!